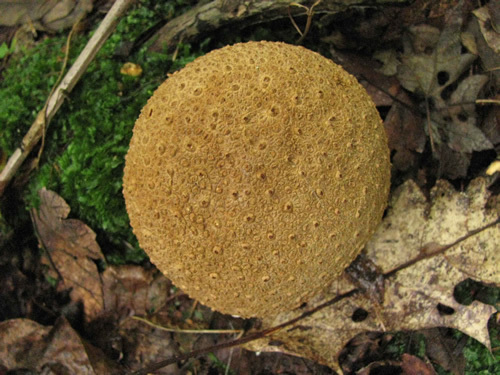 Comments: Also known as “common earthball,” this yellow-white spherical fungus has no stem. 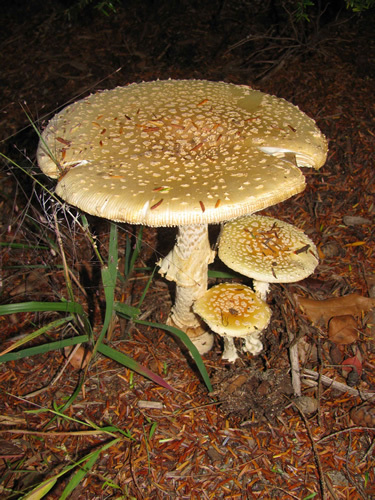 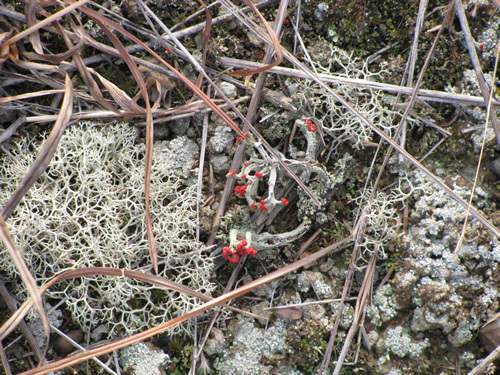 It eventually bursts open to release spores. 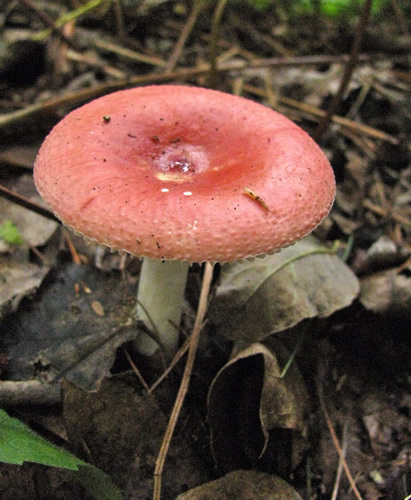 Comments: I don’t know which species of Russula this specimen happens to be. 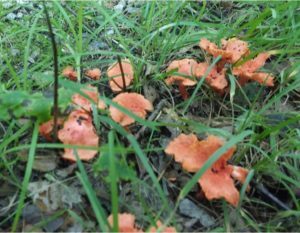 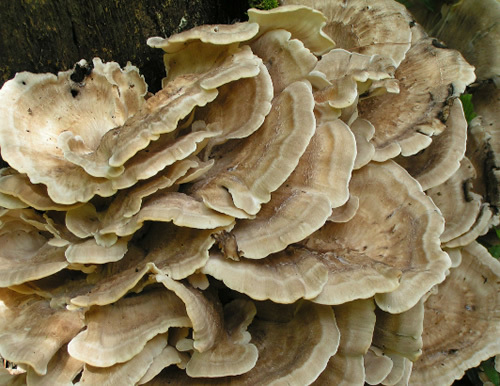 Comments: Sulphur shelf mushrooms are reportedly edible, but never eat a mushroom you find in the woods unless you are absolutely sure it is not poisonous. 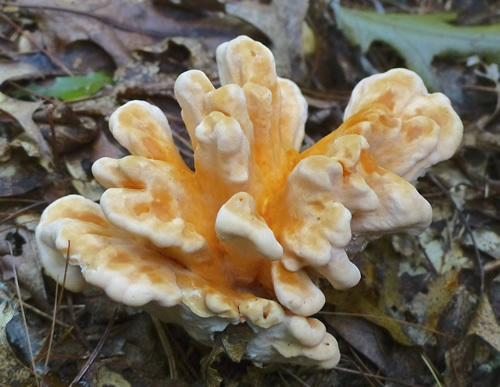 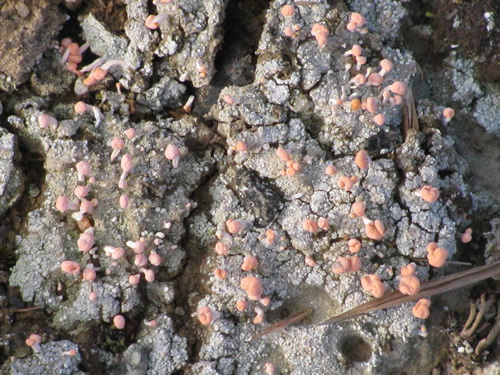 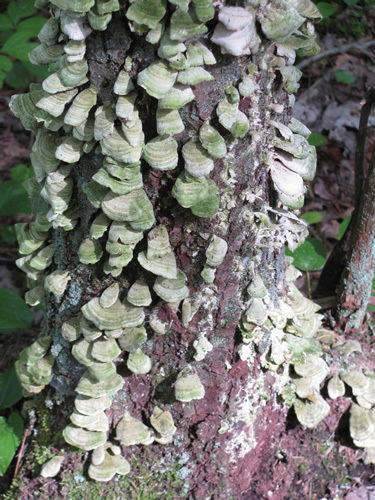 More pictures of sulphur shelf mushrooms can be seen at: http://hicksroad.com/html/stumpfun.htm. 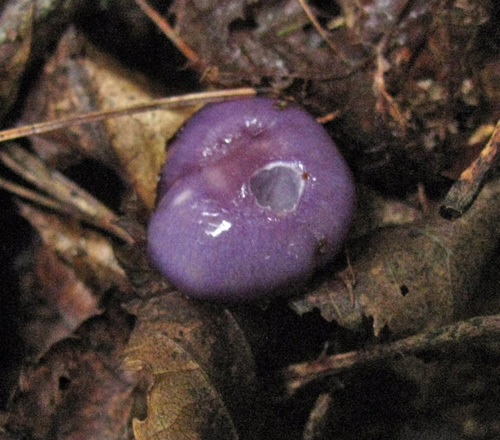 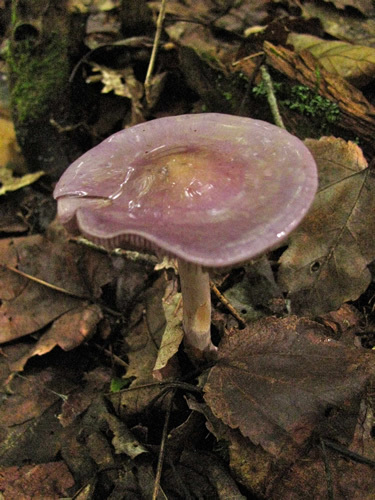 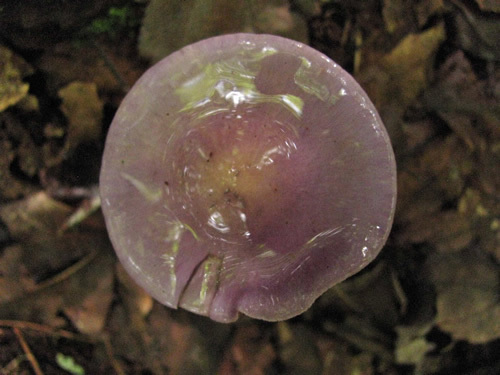 Comments: This striking violet mushroom has a watery sheen.